Jaggy Thistle is a cute and cosy 32 feet narrow boat – perfect for a fun day out!The boat is self drive and is available for day hire, carrying up to 8 passengers. It’s easy to manage and has all the equipment you need for a relaxing cruise, including a fully fitted kitchen and WC. 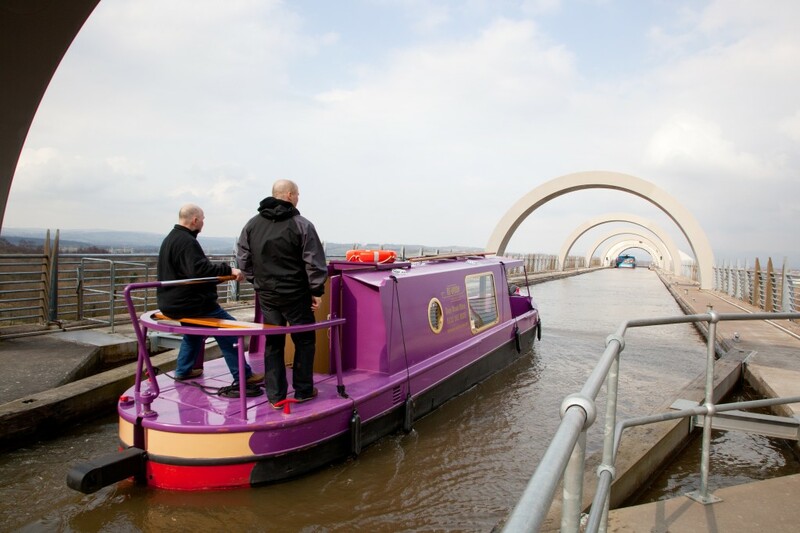 A unique way to experience the Falkirk Wheel.